I do not cease to pray for you, that the God of our Lord Jesus Christ, the Father of glory, may give you a spirit of wisdom and of revelation in the knowledge of HIM….. I also pray that you will understand the incredible greatness of God’s power for us who believe Him. This is the same mighty power that raised Christ from the dead and seated Him in the place of honour at God’s right hand in the heavenly realms. Now He is far above any ruler or authority or power or leader or anything else—not only in this world but also in the world to come. God has put all things under the authority of Christ and has made Him head over all things for the benefit of the church. And the church is His body. It is made full and complete by Christ, Who fills all things everywhere with Himself. What a glorious prayer Paul prayed for the believers in Ephesians – and for us too. 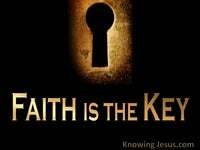 He heard of their trust in Christ and longed for them to know their position in Him. His specifically prayed that God would give them revelation of who they are in the Lord. He prayed that the eyes of their hearts would be flooded with heavenly illumination. He longed for God to open their understanding of the riches of His grace towards them. But the wonderful thing is that this weighty prayer of Paul is for all God’s children. Paul’s desire was that all believers discover the precious privilege they have in Him, and down through the centuries of time men and women have rejoiced in his words – and his prayer for revelation is for you and for me, and for all the body of Christ. What a joy for Paul that these Ephesians believers had such a love for their Lord, and how he longed that they fully appreciate the blessed hope they have in Christ. It must have rejoiced Paul’s heart to see the genuine love they had for each other.. just as the Father rejoices when He sees His children trusting His word – just as the Lord’s heart is gladdened when members of His body dwell in unity. Paul prayed that the church would be given spiritual wisdom and godly insight. He wanted all believers to be able to remain confident in the hope of their calling. 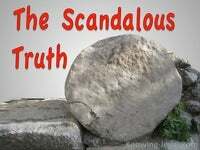 He did not want them to be tossed hither and thither by every wind of doctrine – but to know the truth of their union with Christ – for that truth will set us free. How he prayed for an increase in their knowledge and understanding of Jesus – an understanding of the incredible greatness of God’s power to us who believe. How he prayed for our spiritual insight – godly growth and developing discernment. Oh Paul knew that the more we know Christ personally – the more we love Him.. and the more we love Him the deeper our love becomes – and we know Him better – and then we start to understand the abundant, riches of God’s grace towards us. The over-abundant riches of His grace towards us are eternally immeasurable. 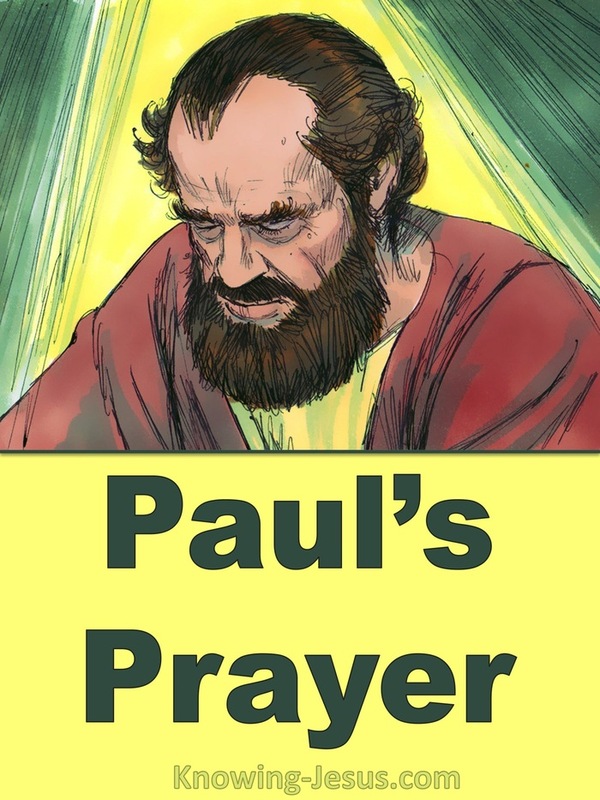 Paul not only prayed for revelation and insight but enlightenment and illumination. Paul not only prayed that we understand our position in Christ but our future hope. 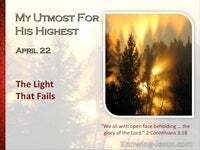 He prayed for light – an outpouring of God’s light, streaming into our hearts. 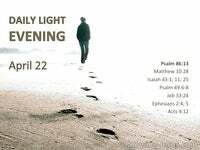 He prayed this light would saturate our understanding of our blessed hope in Christ. He prayed passionately that the eyes of our heart may be enlightened in order that you may know the glorious future hope to which we are all called, which is laid up for us in heaven, the riches of His glorious inheritance in the saints – His holy people. Paul also prayed that we would know who are in Christ – know our position in Him.. permanent position that is as secure as the eternal Lord Jesus Who placed us there.. union with Him that guarantees our adoption as sons and our an eternal heritage – a union so intimate that we are part of His body – and He indwells our mortal frame. A position so precious that we are bonded so closely to Him as a bride with her groom – a position so staggering that we’re afforded the right to enter heavens holy of holies.. a fellowship so blessed that we can commune with our Lord – and be one with Him – a communion so special that the blood of Jesus continues to cleanse us from all sin. 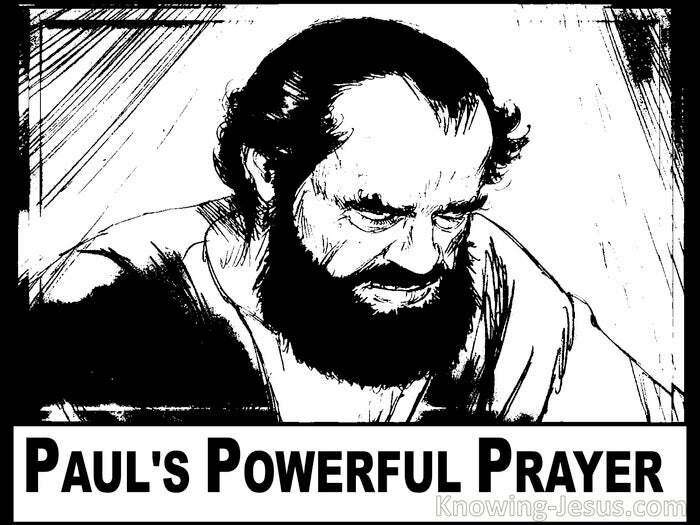 Paul further prayed that we’d understand the incredible greatness of God’s power. He wanted us to know the mighty power of God – that raised Christ from the dead. He desired us to know that by the same power Christ ascended to the heavenlies.. and thru that power He is now seated in the place of honour – at God’s right hand. 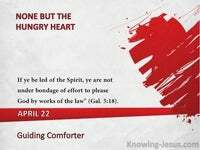 And this is same mighty power that is working in us – by means of His holy Spirit. The unlimited greatness of God’s power is working within all believers in Christ. The exceeding greatness of His power works to strengthen all who trust in Him. God’s immeasurably excellent strength is at the disposal of all His children – and Paul prays that we know this wonder working power – that is working for us.